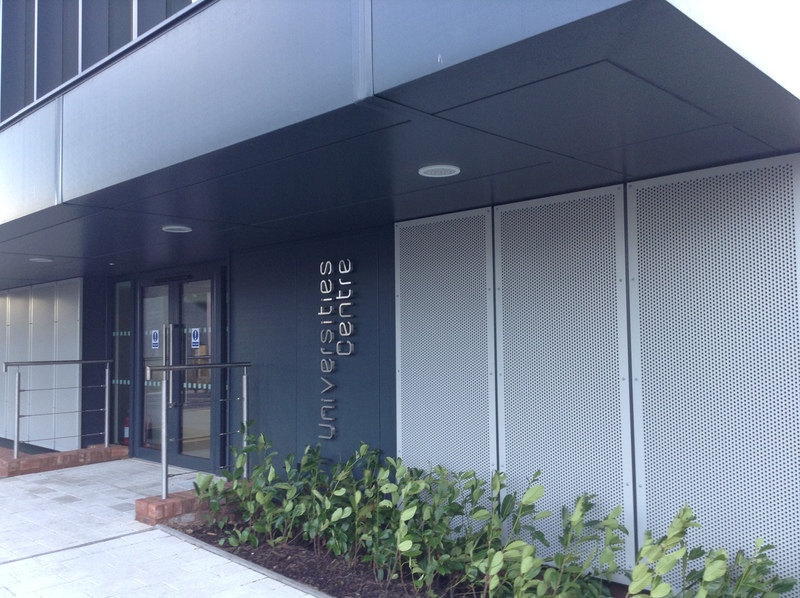 The DEFT153 West Midlands Data Discovery Centre opened its doors on 7th January 2019, at the Innovation Birmingham campus. Through 2019, we are delivering challenges with our members and partners, in preparation for the launch of a full-scale, 3-year Data Discovery Centre demonstrator in the West Midlands from January 2020. Want to be first to experience this and demonstrate your commitment to innovation in the West Midlands region? Join us in our first round of challenges between January to March 2019, which we will showcase at Traffex on 2-4 April 2019. What is the Data Discovery Centre and how does it work? This core team work with large civil engineering clients who face particular challenges, and help align and prioritise these with public sector needs. They also hand pick SME’s with relevant products and services, and university projects, media organisations and others with relevant research projects that would benefit from helping solve transport data challenges in the region. The team the align individuals and teams around each challenge, and manage the delivery using an Agile approach. What are the benefits for Data Discovery Centre members? It enables those working in/for transport in the West Midlands to access existing datasets, and work with a wide variety of data visualisation, analysis and exploration tools to help them make sense of data. By discovering the deeper value of the data already in our organisations, and utilising reciprocal data sharing arrangements that make it worthwhile opening data up, we can reduce project risks, congestion, and improve air quality and skills. Ultimately we are learning how to solve the regions network resilience challenges in mutually beneficial ways. Signposting datasets helps data publishers improve consistency of publication across multiple platforms, and provide more relevant context/metadata to describe their datasets. Participation evidences commitment to delivering innovation in existing regional transport contracts, and improves digital, data and collaboration skills of staff. Mostly, its about equipping people with data, procurement and funding tools to overcome barriers and break down silos, rather than technology and clever stuff. 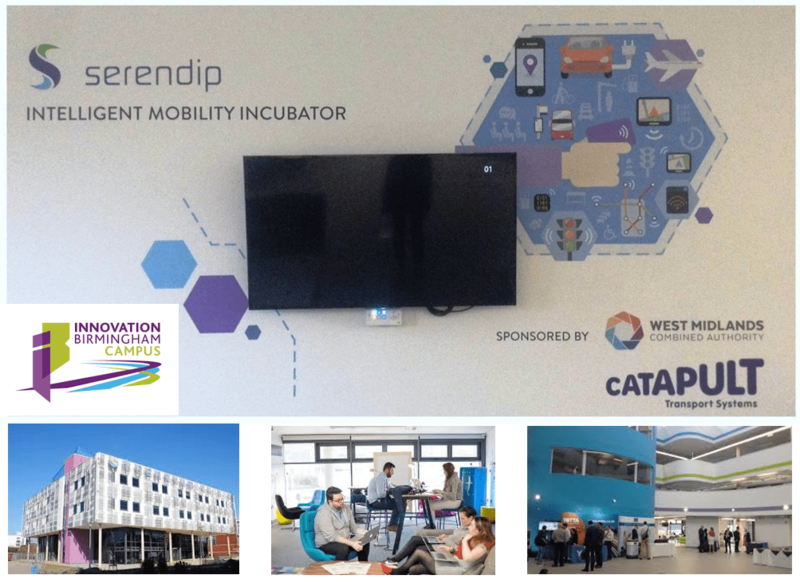 redefine how an incubator can operate so we can support large organisations taking part alongside SME’s, volunteer sector (OpenStreetMap), academia, and public sector bodies. Data sharing/reciprocity, security, Intellectual Property and procurement are areas we are addressing. The Innovation Engine’s Birmingham in Real Time project, managed by Birmingham City University is collaborating with Birmingham City Council to clean and visualise Birmingham’s Urban Traffic Monitoring Control (UTMC) data from existing loop detectors in the roads. 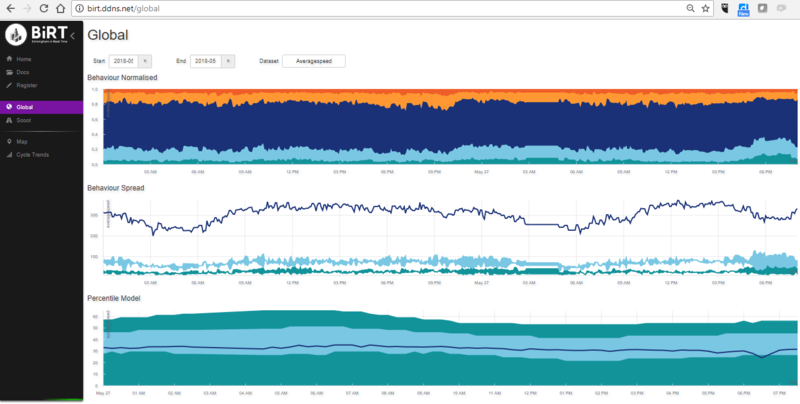 Available openly, this dataset helps SME’s build predictive traffic and congestion services into their products, and design services that highways maintenance provider Amey can benefit from. Be recognised nationally as a regional centre of excellence, and be the prototype for a collaborative open data platform / exchange, data standards and protocols across the UK (HighwaysAPI).